Psyonix continues to work on improving Rocket League, and you’ll soon enjoy some of the things they’ve been up to. This is thanks to the Autumn update, which will arrive this month and will include a new stadium, according to some details on its official blog. Farmstead will be a new seasonal arena that will be available in competitive, casual and private matches for a limited time. At the moment, Psyonix has not specified how long Farmstead will be available; however, it is very likely to disappear once winter begins. 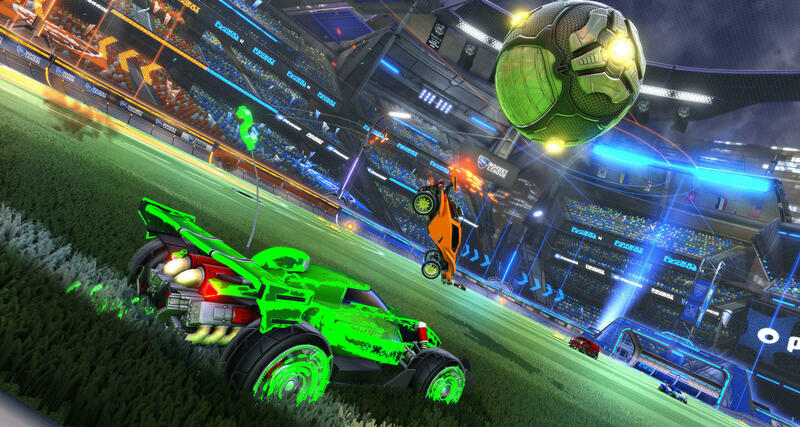 Another important change that is on the way to Rocket League is that the goals will now be transparent so that visibility is no longer a problem in intense defensive moments. In addition, there will be standard format versions of Starbase ARC, Wasteland, Manfield (Snowy), DFH Stadium (Day) and Champion Field (Day). As part of the autumn update, Psyonix will add more than 90 free customization objects, player standards and a redesign for the news section. That’s not all since next to this update a new chest will come called as Accelerator, in which you can find a new car, the Jäger 619 RS. Psyonix is working on a new born system called Events, which will present limited time events in which you can unlock new personalization objects. Also, after certain online games, you will receive an item called Decryptor, which will open unopened crate in your inventory. Finally, the studio announced that the arrival of the autumn update will also mark the start of the sixth competitive season. In it, players will have the opportunity to compete to get exclusive rewards corresponding to the highest rank they have achieved. The Autumn update for Rocket League will be available on September 28 on PlayStation 4, Xbox One and PC. Rocket League is available on the aforementioned platforms and will soon come to Nintendo Switch. Perhaps even more exciting are the features coming after the Autumn update, though. Before the end of the year, Psyonix intends to launch a beta for the highly anticipated Tournaments system. Moreover, the developers are also working on a new Party System directly integrated into Rocket League, which should eventually allow for cross-platform parties.